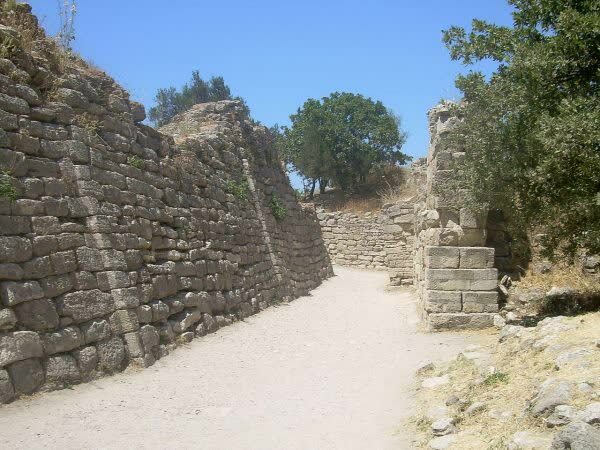 Troy is a city which existed over 4.000 years and known as the center of ancient civilizations. For many years people believed that it was the city mentioned only in the tales and never existed until it was first found in the 19th century. Troy (Truva in Turkish) is located in Hisarlik near Canakkale province where the remains of this once-great city can be visited. What were left are the remains of the destruction of Schliemann, the famous German archaeologist or a treasure hunter as some people call him. Today, an international team of German and American archaeologists bring the Troy of the Bronze Age back to life under a sponsored project by Daimler – Benz, and another Turkish team is at law wars with Russia and Germany to get back the stolen Trojan treasures. Troy appeared in Greek and Latin literature. Homer first mentioned story of Troy in Iliad and Odyssey. Later, it became the most popular subject in Greek drama. The book of Virgil’s Aeneid contains the best known account of the sack of Troy. In addition, there are untrue stories under the names of Dictys Cretensis and Dares Phrygius. Troy is one of the most famous cities in the history, remembering us Hector, Achilles and Achaean Greeks, the sake of Helen, Paris, Agamemnon and Priam. Its story is written in every language, Trojan heroes, Achilles’ heel and Odyssey became figures in poems. From Alexander the Great to Lord Byron, many important figures of the history stood on the site of the great heroes. However, people always wondered whether the Trojan War happened or not, or if there was really a wooden horse or not.